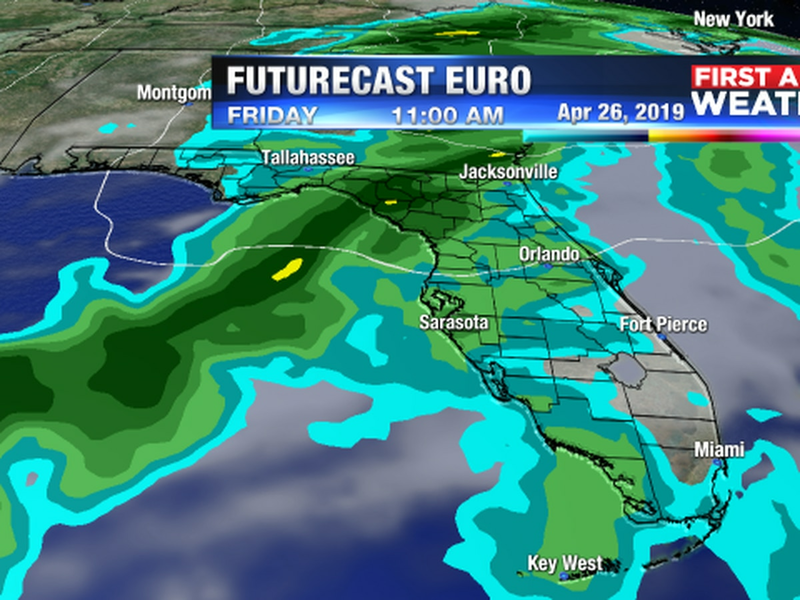 SARASOTA (WWSB) - Light to moderate showers will move across the Suncoast this morning and finally start to clear as we move into the afternoon. Breezy winds out of the north will begin to slacken in the later afternoon but a Small Craft Advisory will remain in effect into the evening. There is also a high risk of rip currents. 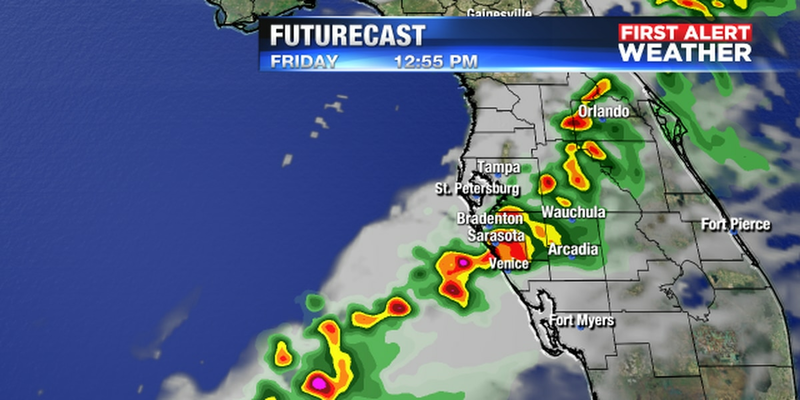 Clouds will linger into the late afternoon or evening. The combination of clouds and wind will make for a cool, and for some folks raw, day as temperatures struggle to rise only a few degrees. Expect a high near 68 degrees. Tonight will be cold by comparison to recent temperatures. Skies clear and the north wind brings in dry air which will allow our overnight low to dip into the upper 40′s. However, after the cool start we will rebound with a warmer and sunnier day tomorrow. Highs on Valentines Day will be in the mid 70′s with evening temperatures falling into the upper 60′s. 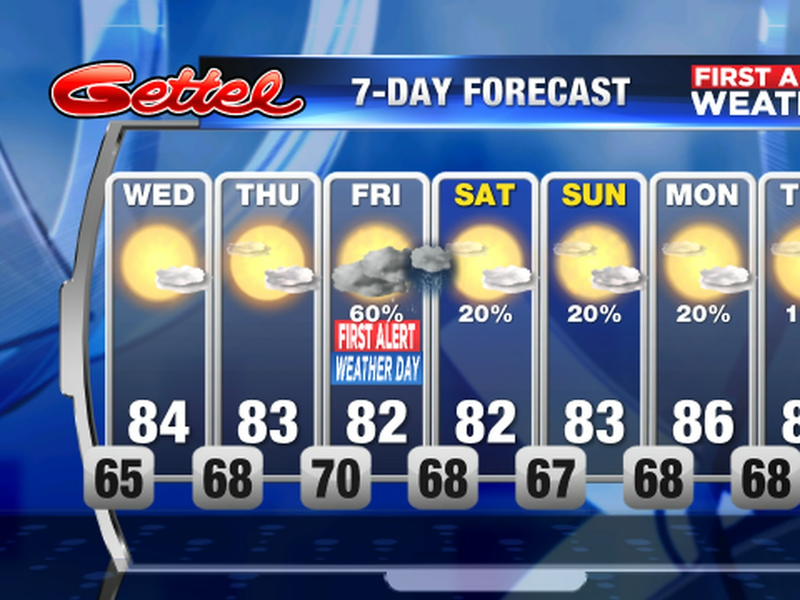 The warming trend will continue into the weekend when we will be near 80.